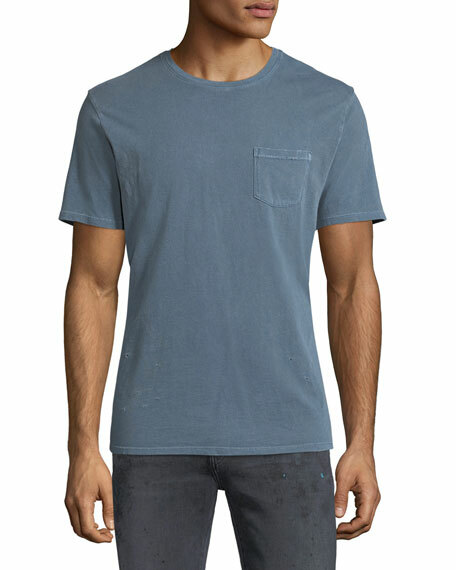 Joe's Jeans "Finley" T-shirt in soft, vintage-weight jersey with pigment-dyed and stone-washed finish. Aged with wear, tear, and stress marks. For in-store inquiries, use sku #2162394.